Carmelo Anthony’s ninth signature shoe with Jordan Brand came out in four stunning colorways last week. All four colorways received significant amount of attention, making the upcoming colorway another expected hit this week. 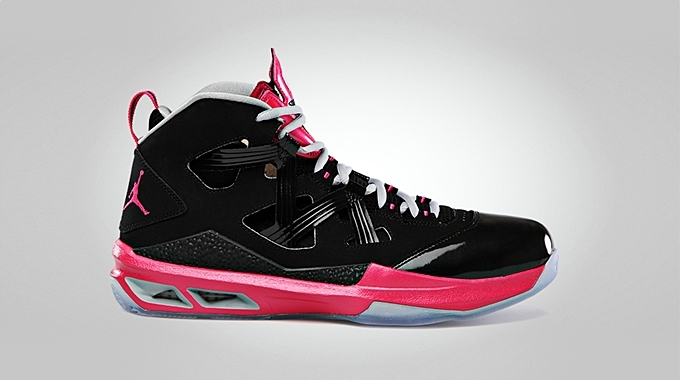 The Jordan Melo M9 will come out on Wednesday, January 16 in Black/Vivid Pink – Wolf Grey colorway. This edition of the kick sports a black upper part with vivid pink accents on the tongue, midsole, and other surrounding parts, giving women Jordan Brand supporters something to be excited about. Check this out and make sure to grab one immediately once it hits the market.